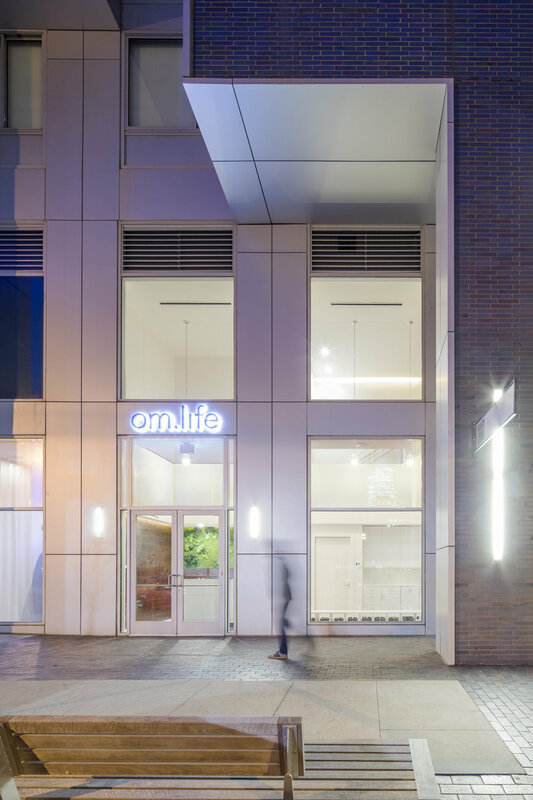 Om.Life is a wellness center in Jersey City offering a variety of holistic health services including floatation therapy, whole body cryotherapy, infrared sauna and normatec recovery. Our task was to take an exceptionally narrow and tall storefront space and convert it into a sanctuary that fits a lot of different functions while remaining both bright and airy and warm and cozy. Check out their offerings at www.om.life.com.